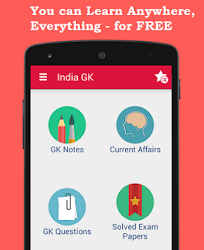 9, 10 September 2016 Current Affairs MCQs, Quiz, Questions: Current Affairs for September 2016, Daily Multiple Choice Questions (MCQs) for India GK, World GK and current affairs with Collection of daily objective type Question by www.Indiagk.net based on General Knowledge (GK) and General Science (GS) Questions for UPSC, State PSC, SSC, Police exam, Railway exam, SBI, Bank PO, IBPC, SSC, LDC, UDC, Army, Airforce, Navy, Coast Guard, Bank Clerk, TET and all entrance examination with current affairs News, Multiple Choice Questions (MCQs) available on Website www.IndiaGK.net and Android Apps with daily updates:. Which country in September 2016 declared Malaria Free by WHO ? Which state top the in Swachh Bharat Abhiyan survey conducted by rural development ministry in September 2016 ? The 2016 ASEAN Summit concluded on 8 September 2016. It was held at which place? ICGS Sarathi commissioned on 9th September into which Defence Organization ?